LA Girl Pro.concealer: A cheaper alternative for MAC Prolongwear concealer, available in a wide range of shades, and one that wears for whole 9 hours. You can read my review here. 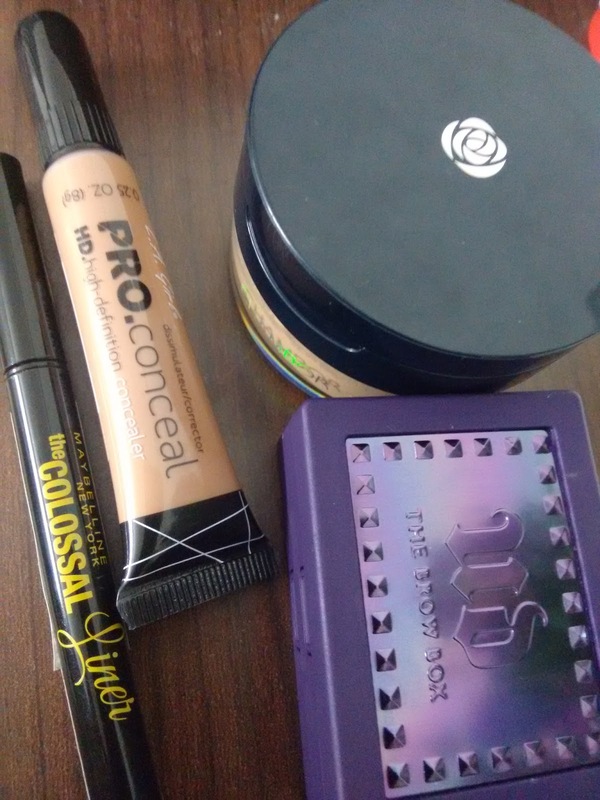 The shade Medium Beige has been a savior the past month, I have been constantly using it under my eyes to brighten up sans-foundation. 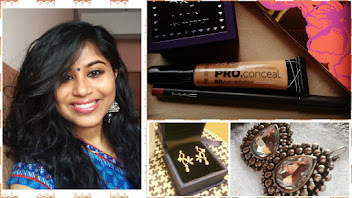 Maybelline Colossal Liner: A girl cant have enough liners. I had Maybelline Hypersharp Liner in stock, which dried out in a month much to my dismay. I had little to no hopes for the new one, but surprisingly its been a revelation for me, this month. I can draw precise winged liner and it does dry quickly without much smudging. 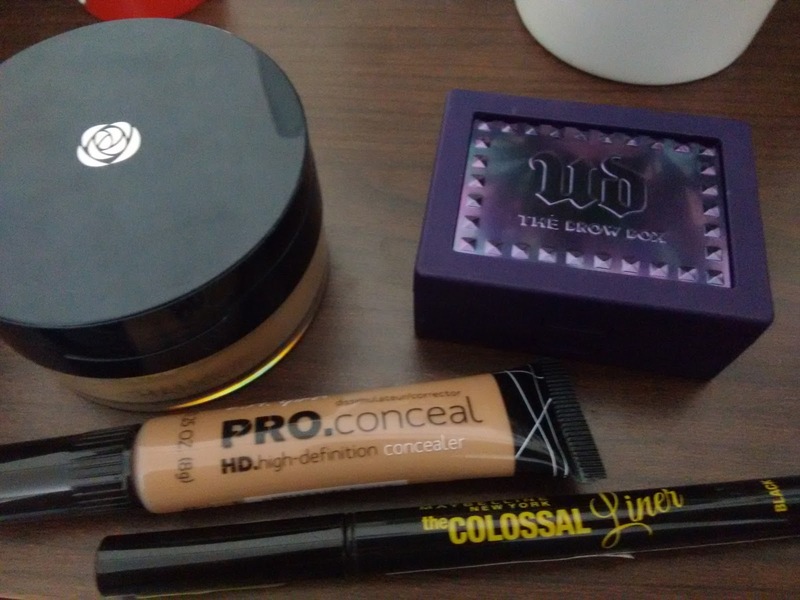 Urban Decay Eyebrow Kit: I am a brow on-fleek kinda girl, I have quite thick eyebrows with bald spotting in between, I have been using this brow kit and absolutely love this stuff. Not black, but dark enough to be masked as real hair, this kit comes with a lighter shade, brow wax, and brow tool. I don't get much use of the other items, but the shade that matches my hair, stays puts for 9 hours and looks quite natural. Chambor Loose Powder: This was an impulsive buy, but then I quite find good use out of it. SA suggested I pick up a darker shade, but I wanted it to powder my under eye concealer. Has nice strong yellow undertone, thereby giving my under eyes a very bright effect. Contains finely milled glitter which is noticeable only on close inspection. 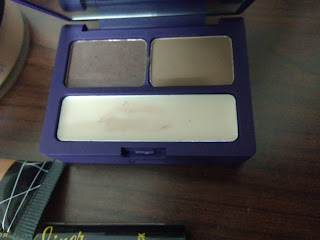 It has all problems associated with a loose powder, but then I can pass up on those design flaws as it quantifies for being a good setting powder. 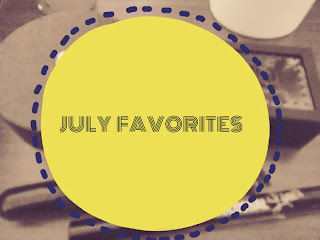 So what are you favorites for this month?